Welcome to paradise! 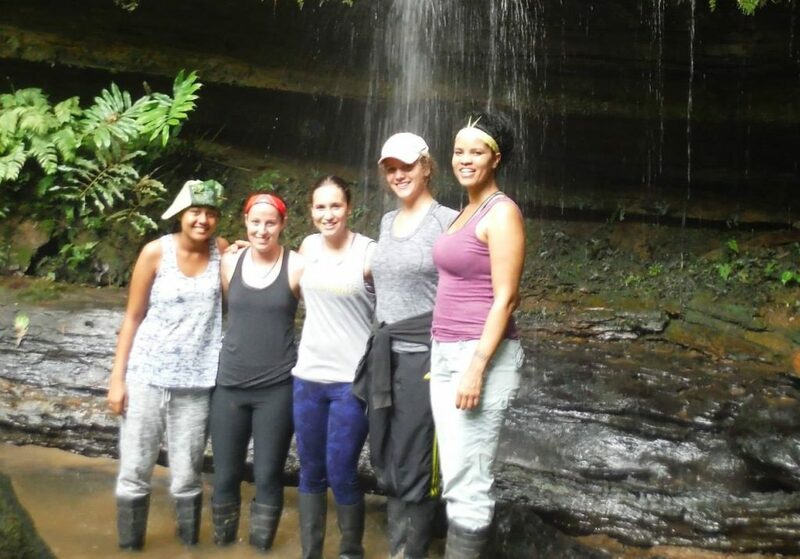 This tour combines a walk through the Amazon, its rushing streams, spectacular waterfalls and rocky caves and finishes with a refreshing swim in a natural pool. An unforgettable one-day trip that will see you trek through stunning rainforest, walk down rivers, shower under waterfalls and bathe in the cool and revitalising waters of a natural Amazonian rock pool. Note: There is a 2-person minimum for all jungle tours. Come dressed in light clothes suitable for walking in the jungle, but remember you’re going to get wet! Come and enjoy the fresh waters of the Amazon! The trip starts at 9am at the Raft Amazonia office at Av. 15 de Noviembre y Cesar Augusto Rueda. (We can also pick you up from your hotel/hostel if you prefer). After our private taxi ride of roughly 30 minutes, we arrive at the entrance of Monda Yacu where our adventure begins. We start our one-hour walk to the stream and along the way your guide will tell you all about the insects, birds and plant life that you encounter. We then arrive at our first rock pool where we can take a swim and enjoy the stunning natural beauty around us. After a rest, we slowly and carefully make our way down the river and through a 20 metre cave, coming out into a natural pool of spectacular beauty. Here we have a delicious picnic lunch. After relaxing, swimming and enjoying the pool, waterfalls and surroundings, we head back to where the taxi is waiting, arriving back in Tena just before 4pm. Any questions? See our FAQs or contact us.